Offices are designed in such a way that they are full glassed paneled so bosses can hawk at you from his room with his watchful eyes to check if you are surfing Facebook, net or making personal calls or using msn, Skype etc.. He then puts the blinds down if he is yelling at subordinates, if he is a tactful boss who is wary about hurting the feelings of people. When he is skiving, he will be discreet and have the blinds down, in order to show a good example. If he is doing confidential work or having confidential discussions, it is good to give the client privacy by having blinds down to conceal gestures or lip reading from office staff. Conferences rooms that have panoramic views of the surroundings can be distracting when one is trying to put forth important messages during a meeting Office blinds comes in all colors, vertical, pleated, designs, manual or motorized and it is easily maintained, convenient and cheap to replace. Choose the enjoying magnificent view when you are having a casual company lunch by having the blinds up. After all, you paid a great deal for rental for that location that will awe your clients. But glaring sunlight does not do help to make a presentation better. While some companies chose to have the mirrors frosted. That limits the choices as it will be costly and removal of the frosted effect will be difficult when fashion is out. Comparatively, blinds give us the privacy when necessary yet it can give everyone a welcoming look when all blinds and door to manager’s room is up and open. One will feel more invited and less imposing to speak to a manager whose doors and blinds are all up then someone sitting behind closed doors with frosted glass when you can’t even see if he is busy on the line or rushing some documents looking frustrated. Barging in for some private time can be killing when the atmosphere is depressing but our views are blocked! How do we know we are not stepping on mines or time bomb when we can’t see. Wont it be weird to be peeking in from the frosted mirror or trying our luck by knocking and be greeted by a stressed and black face. Can do we do a graceful exit in that instance? To have a stronger bonded workforce, constant communication is very important. But human will only communicate genuinely and contribute good ideas when atmosphere is inviting. Blinds also block out sunlight. Excessive trapped sunlight builds up heat in the office, resulting in a more hot-tempered superior in a way. 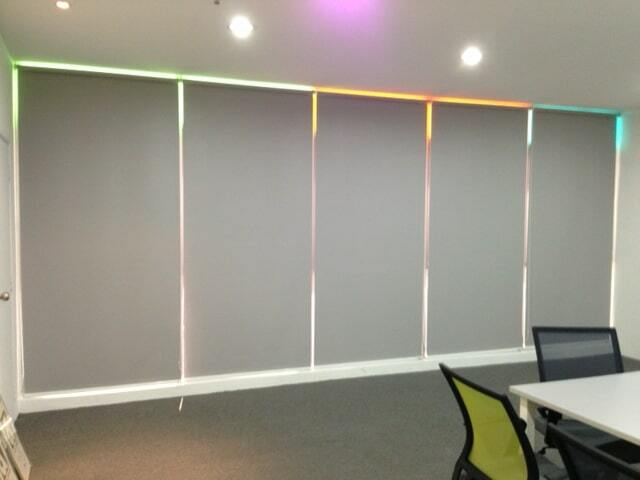 To encourage better bonding and more ‘open’ contributions why not consider having blinds installed now. That meeting rooms needs to be cozy instead of being a sauna during noon right?